If you haven’t already filed your taxes, then today’s review may be prove to be extremely beneficial for you. For the last few years our family has used TurboTax to take care of our tax paperwork online. While Home & Business is the best fit for us, it isn’t the only edition TurboTax has available. Here are some quick descriptions to help you decide on which edition will fit your needs. We’ve been happy with TurboTax and how easy it is for us to file using their services. If you want to get started on your taxes, grab your copy of TurboTax today! Filing our taxes have been easy with TurboTax. No matter which edition you use to file your taxes online, TurboTax digs through and find what deductions and credits you may qualify for on your return. What’s so special about getting tax deductions and credits? 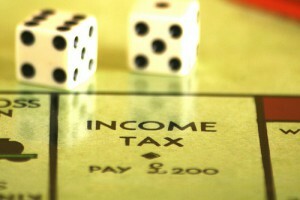 Tax deductions reduce your taxable income while tax credits lower your taxes owed. The program asked questions to see if we met all the requirements and then adjusted the estimates on our refund as we went through the process. We use TurboTax to take care of our home and businesses taxes. The program will quickly get your information and sort through what you need easily. It was a snap to get this information in as we received the documents. Having a save option allowed us to get the return bit by bit, so it never felt like we were bogged down with our tax return. I’d like to get your feedback – how many of you have used TurboTax online? Which edition do you use?